To stay healthy, it is often enough to use the products that surround us well. Eating apples regularly would be a great idea, for example, that we don’t think about often enough. However, the Envy apples taste and price are a great motivation. Eating apples is part of many consumers’ daily lives, but do we all know the benefits of apples? The apple is excellent for health but also for the line. They are apples grown for our modern lives. A pure apple that is a true work of orchard genius. And you can enjoy it anywhere. With the price and taste of crispy apples and its extraordinary texture, refreshing sweetness and beautiful colours, it is nature’s passport to a magical moment of indulgence. 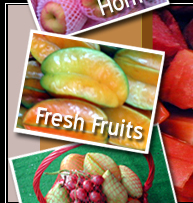 They are offered to you by Singapore’s most attentive producers such as eFreshFruit.com. Apples are a fruit rich in fibre, which facilitates intestinal transit and reduces the risk of constipation. To do this, it must be eaten raw with the skin on. In case of diarrhoea, on the other hand, peel your apple. It will then have a radical effect. The pectin it contains is a soluble fibre that can retain up to 20 times its volume of water. In addition to the taste and price of attractive enticing apples, apples are also an ally against cancer. It contains high levels of catechins and quercetin, antioxidants that act against the proliferation of cancer cells. These antioxidants are found mainly in the skin, so consider buying organic apples or washing them well before eating them. Apples are able to significantly reduce bad cholesterol levels and slightly increase good cholesterol levels. It is thanks to pectin that apples prevent fat from sticking to the arteries. Squeezing the apple into juice would be even more effective in fighting bad cholesterol. The apple would also be recommended for all people who are looking to lose weight. It is indeed an excellent appetite suppressant. Eating two apples a day would therefore help you lose weight. The feeling of satiety it provides reduces snacking and reduces our appetite during meals. Eating apples would also be helpful in reducing the risk of diabetes. 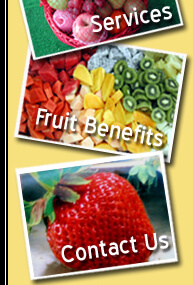 Fibres, like pectin, slow the penetration of sugars into the blood and thus stabilize blood sugar levels. According to the results of a Singaporean study, eating one apple a day reduced the risk of developing type 2 diabetes by 28%. Several studies have shown that the consumption of antioxidant-rich fruits, such as apples, leads to increased bone mass and greater bone resistance. In general, fruit consumption leads to higher bone mineral density. Eating apples makes our nights more peaceful. Because it is rich in phosphorus, apples prevent sleep problems such as insomnia. It also fights anxiety and promotes relaxation. Eating an apple before going to bed is therefore recommended. According to a study conducted by Dutch researchers and published in Stroke, the Journal of the American Heart Association, eating pears and apples regularly reduces the risk of stroke by 52%. One apple a day would be enough to effectively prevent stroke. In addition to all these good reasons to buy and eat apples, you will also notice that Envy apples taste and price are attractive.